Moving into a new home or office? Planning some remodeling? Grout may be the last thing on your mind, but it should be at the top of your priorities! Without proper grouting, your household appliances and tiles will not hold the way you’d like and remain unprotected. Not to mention the water and physical damage you are exposing those parts of your home to. The Grout Specialist has over 23 years of experience in grout installation. Our professionals are thoroughly trained in the most effective installation methods and equipped with the best tools to get the job done right. We are a team of dedicated individuals, “specializing in taking the old to the new!”. Don’t hire just any amateurs to install your grout. Improper grout installation is the equivalent of not having any grout at all. While grout does tie in the aesthetics of a home nicely, its main purpose is to securely hold structures together and fill in the gaps between tiles and appliances in order to keep out moisture and prevent the growth of mold or mildew. If the grout is not applied correctly, your property is at risk and exposed to these possible damages. At The Grout Specialist, we also offer Grout Sealing and Grout Coloring as part of our installation services. Grout Sealing applies a layer of protection against staining and cracking that will help your grout stay intact much longer than usual. Grout Coloring is great for homeowners who are interested in having the color of their grout match the color scheme of their tiles and room. We highly recommend both of these services, as they have proven to be great additions in the past. 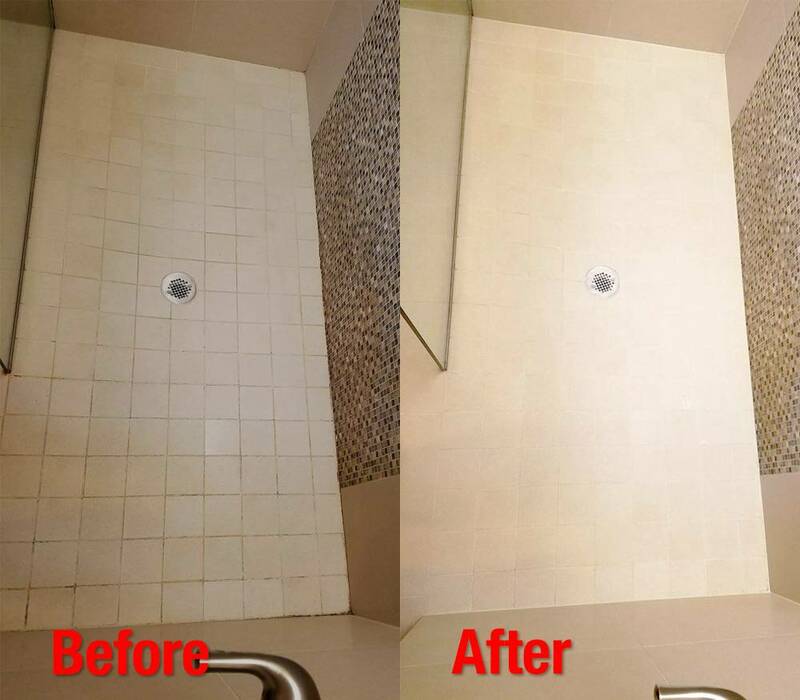 Have your grout installed by experienced professionals today and contact The Grout Specialist at +1 (720) 517-8041 or click here to schedule an estimate.